Again I own nothing so yah. We finally reached the station and I knew I had to wake Hermione up. "Hermione love, you need to wake up. We&apos;re here." I said. She just groaned. "Come on love we have to get the first years to Hagrid and the 2nd years to the carriages." She woke up and yawned. She realised that she was on me and jumped up. 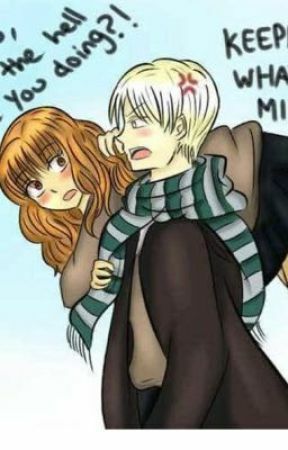 "Merlin Draco I&apos;m sorry! Let&apos;s change into our robes quick and then we&apos;ll go." She went to the bathroom to change and I quickly changed in the compartment. Hermione and I quickly went outside. She went out to the first years and helped them while I helped the second years. It was quite easy to get the second years to the carriages. I just told them to follow the third years or else. I was waiting for Hermione since we had to share a carriage to the school. The wait gave me a great view of Hermione. I was just leaning against the carriage when Hermione came over. "Like the view Malfoy?" Said Hermione. "Oh yes. Back to last names I see Granger." I say leaning closer to her. "S-s-shut up Draco." She stuttered. I chuckled and walked into the carriage. "You coming?" I asked her. She came in the carriage and sat across from me. The carriage moved and we started our trip to the castle. We sat in silence till she said "do you wanna tell me about what happened on the train." I didn&apos;t know how to explain it to her so I just said "can you please just let me think of a way to tell you first?" She looked at me like she was thinking about it and finally said "fine. As long as you do tell me." I sighed in relief and promised her I would. We rode the rest of the way in silence. When we reached Hogwarts we went our separate ways to our house tables. I sat down with Blaise, Pansy, Theo, and Goyle. "So who&apos;s the head girl Draco?" Theo asked. 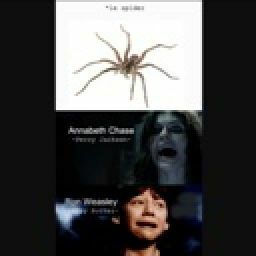 "Granger." I answered. Theo looked like I said something dumb and said "Ah I should have known. You know now that we don&apos;t have to listen to all of the blood purity crap from our parents, I might try to make amends with her. She is smart and I could use a smart friend." We all looked offended and Theo just shrugged. "I&apos;m with Theo man. I think I&apos;ll try to ask for her forgiveness." Blaise said. Goyle just nodded to say he would to. "Have you all gone MAD! She&apos;s a Gryffindor! Even worse she&apos;s a MUDBLOOD!" Pansy screeched. I felt my Vela side coming out. I growled and dangerously said "Don&apos;t. You. Ever. Call. Her. That. Again." Pausing after each word. Pansy looked scared and nodded her head yes. Then Professor McGonnagal stepped up to the podium to start the sorting. Badgers got 15 Ravins got 10 Lions got 17 and is snakes got 9. McGonnagal went up to say the welcoming speech and I tuned out till I heard her say "and your new Head Girl is Hermione Granger!" Everyone but a few snakes clapped. 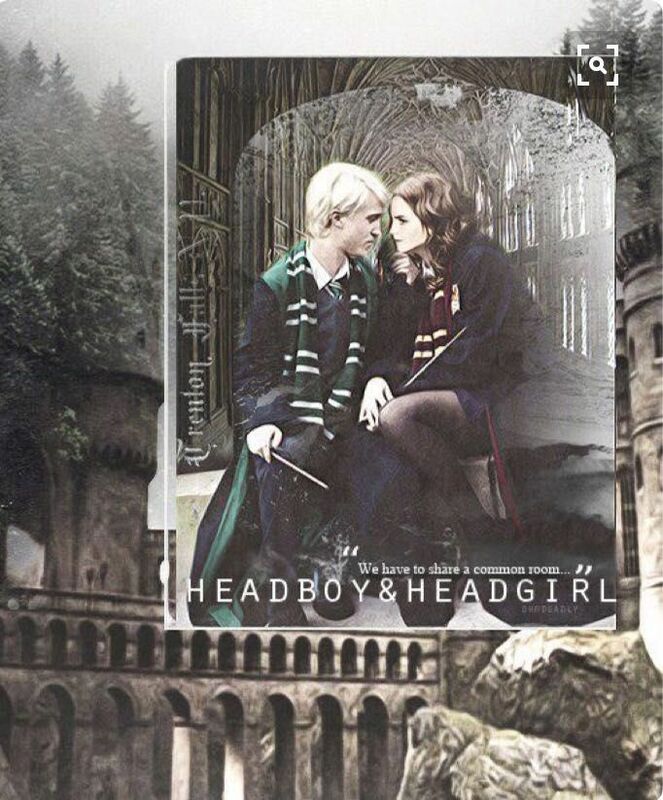 Then once it got quite she continued "and your new Head boy is Draco Malfoy!" The snakes clapped and I saw Granger clapping. My inner Vela was so happy she was clapping for me I didn&apos;t mind all of the glares I got. After that the feast came and we all ate. Lol cliffhanger! Ps I LOVE Phantom of the opera. Also idk if you guys think Pansy would say that or not but I always read her as being good so I thought "let&apos;s shake it up". So yah. I might make other book references in here so yah. Till next time! !